The Camping fiasco and the truth. The Lord IS coming soon for His church - but no man knows the day or the hour. ALAN writes: The sad truth is that the Harold Camping fiasco just brings out the mockers. All of us who teach on end times are lumped in with this foolish old man. If ANYONE tells you the date of the Lord's return, ignore them, for scripture clearly teaches that no man knows the day or the hour. However, there will be a day and an hour and it could well be soon, as the birth pangs the Lord said would signal His soon return are all around, from the Middle East situation to the coming money crash and the fast rise in natural disasters. The day that Camping said the rapture would occur was Saturday May 21, when I was speaking at a prophecy conference in Tennessee on - End Times News! The truth is sensational enough, without having to sensationalise or predict. I showed how the financial crisis is too big for men to solve and will lead to cash crashing in a flash. Then will come a one-world government and currency, followed by a one-world dictator, the man called Antichrist, or the Man of Sin - he has many other titles in scripture. The rise in earthquakes, for which I show charts and figures, also shows that the scenario set out in Matthew 24 and Mark 13, when our Lord told the disciples exactly what would happen prior to His return, is playing out on the headline news. These are not normal times, so expect many more false prophets and deluded men to pop up on television. However, there is also the Gospel truth! If any church would like me to come and give it, complete with Powerpoint presentations, I am available in Britain and America. Contact me at alan@thefreepressonline.co.uk. Now here is an intelligent comment from a discernment website. Apprising Ministries is an online apologetics and discernment work specializing in analyzing current trends in the visible church, apprising you as to what they are, and informing you as to how you can deal with them. Sadly, this is a time of growing spiritual darkness and blindness, which is why I’ve been warning you about the 1 Peter 4:17 judgments coming upon the church visible. False prophets a-plenty have run with their message and scattered across the landscape lying to you by telling you God is about bringing unity within mainstream evangelical factions. The man who said the world was going to end appeared at his front door in Alameda a day later, very much alive but not so well. 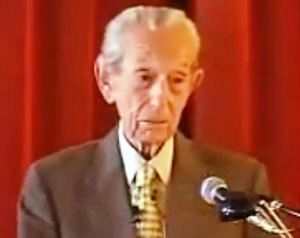 “It has been a really tough weekend,” said Harold Camping, the 89-year-old fundamentalist radio preacher who convinced hundreds of his followers that the rapture would occur on Saturday at 6 p.m. But on Sunday, almost 18 hours after he thought he’d be in heaven, there was Camping, “flabbergasted” in Alameda, wearing tan slacks, a tucked-in polo shirt and a light jacket. “I’m looking for answers,” Camping said, adding that meant frequent prayer and consultations with friends. I said before that it’s really not hard to find some humor in this failed Doomsday prophecy from Harold Camping; however, let me also encourage you to also be in prayer for the many who believed him and who’re in much pain right now.